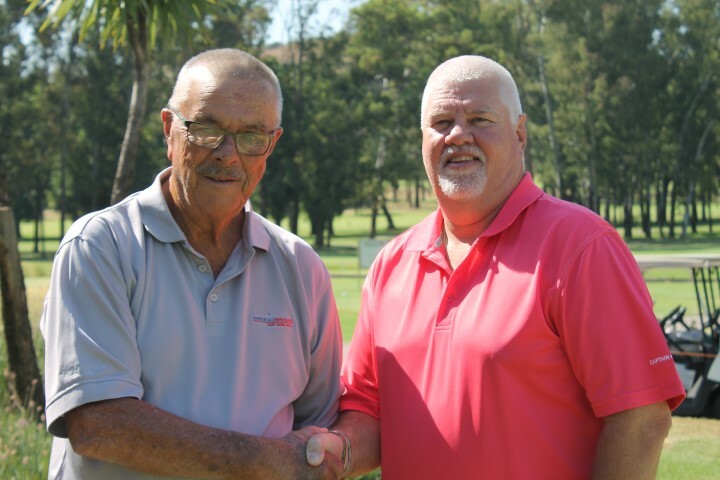 A little bit of history was made at Reading Country Club recently when senior player, David Ford (80), made his first ever hole-in-one after playing golf for just over half a century. “That goes to show, never give up hope,” said David laughingly during an interview where he relayed the moment he realized he achieved the ultimate golf shot – when a golfer hits a ball directly from the teeing ground into the hole! David plays off a 24 handicap and plays at least three times a week, on a Tuesday and Thursday morning with the senior group and on Saturday afternoons with his regular 4-ball. He retired in 1996 and with his wife having passed away years ago, Reading and golf has pretty much become his home away from home. “For me golf is more than just the game, it’s the camaraderie and the friends you make here. We have a lot of fun, so yes, if you ask me what my hobbies are, it’s pretty much that – golf and watching television”. Senior golfer David Ford being congratulated on his hole-in-one by Reading club manager, Marinus Weiss.